Israeli oil prospectors discovered a large oil deposit which could make the country self-sufficient in energy, Israeli business daily Globes reported. 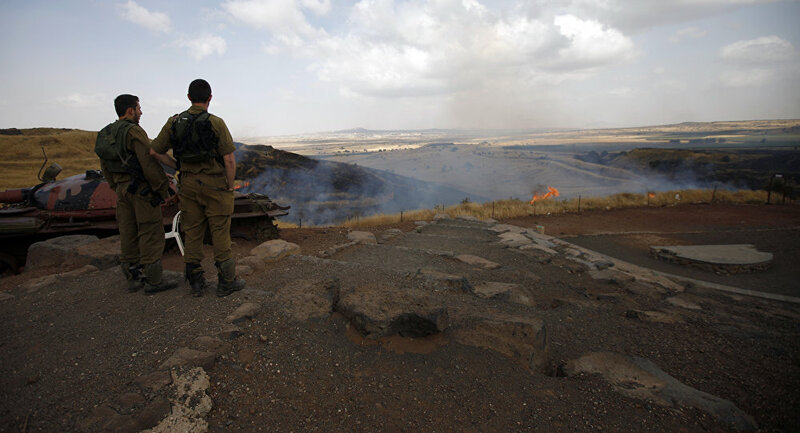 The oil deposit lies in the Golan Heights, which is internationally recognized as Syrian territory but has been occupied by Israel since the 1967 war between Israel and Arab states. Israel is unable to import oil from nearby Arab oil-exporting countries, which do not recognize Israel and have no diplomatic relations with the country. "We are talking about a strata which is 350 meters thick and what is important is the thickness and the porosity. On average in the world strata are 20-30 meters thick, so this is ten times as large as that, so we are talking about significant quantities," geologist Yuval Bartov of Afek Oil and Gas told Israeli television. Israel has previously worked to make itself self-sufficient in oil deposits by developing offshore drilling, but the new discovery is said to cover all of the country's energy needs. "There is enormous excitement. It's a fantastic feeling. We came here thinking maybe yes or maybe no and now things are really happening," Bartov added. The Israeli-occupied Golan Heights also border Syrian territories which are controlled by Syrian anti-government rebels. Israel has reportedly provided medical aid to the rebels and has responded to rocket fire from the rebel-controlled territory by striking Syrian Army positions. Israel's explanation for the actions has been that it "holds the Syrian military responsible for all events stemming from its territory." Israel Set on Eliminating Syria, Iran for Regional Dominance?